After riding my personal motorcycle “Dita”(R1200GS 2012) from Madrid to Istanbul and then around Turkey for two weeks she slept for a year in Istanbul at my friend Kaz’s house. Last year I flew back to Istanbul picked her up and rode her out of Turkey into Bulgaria and then left her in Bucharest, Romania and flew home. So what are my riding plans this summer? I plan to fly back to Bucharest and pickup Dita and ride up to Transylvania, cross into Slovakia and then into Southern Poland where I will leave Dita in Krakow, Poland and fly back to Madrid. This quick 4 day motorcycle tour jaunt should be about 1800kms of beautiful rural landscapes, historical medieval towns and delicious food. Can’t wait! 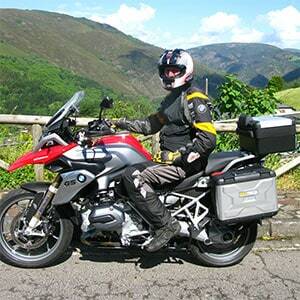 We are preparing a 3-day trip from Barcelona, crossing Montseny, the pre-Pyrenees and then the Pyrenees to Andorra. 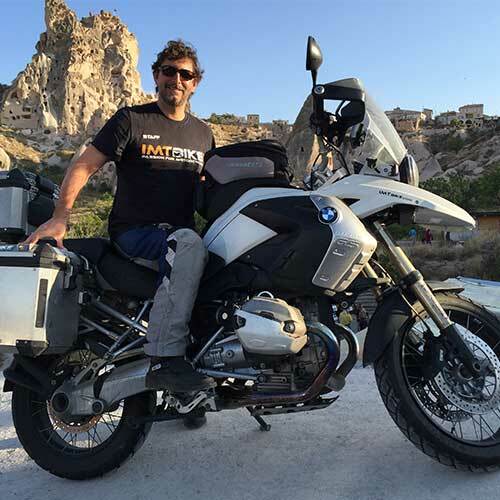 It´s a it´s a motorcycle tour over 500km and 100% for enduro bikes through tracks and trails, crossing rivers, and ascending mountains. We intend climbing Pic Negre, the highest point acessible to a motorbike in the Pyrenees (about 2700m). This trip is of medium to high difficulty and can only be done with light enduro bikes. Our plan is to fill up tanks every 100km approx. 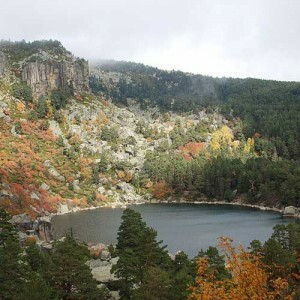 Accessing Andorra will be done through Sant Julia de Lloria (Naturlandia). Since it´s a route that runs through some ski slopes and high mountain areas, it can only be done between the months of April and October. This trip is highly recommended for passionate offroad and mountain bikers with experience. I´ve done this trip before so here is a pic! 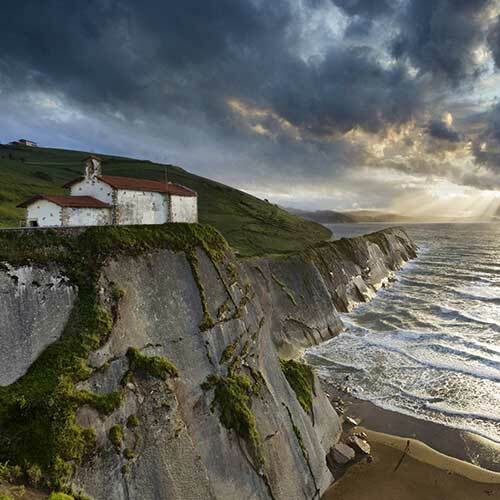 This summer I’m going to show Nacho, our agent in Malaga, all the beauty that the Basque Country has to offer. It´s my hometown and it almost feels like my duty to do so! We will make a motorcycle tour that combines the great contrasts between coast and its beautiful mountains. We will visit places like the Sanctuary of Urkiola on the top of a first category mountain pass that has made giants fall apart in classic cycling races. We will make our way through the balcony of Vizcaya to the Guipuzcoan coast where we will stop in coastal towns such as Zumaia and Getaria to enjoy the deep Northern charms. 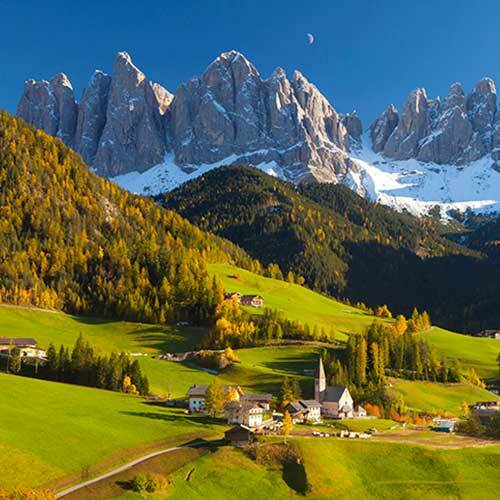 Various films and television series have in fact been shot in these villages for their beauty. Accompany this with a glass of Txakolí (typical white wine of the area) and you are set for a great experience. We will camp in any village that calls our attention along the way such as Deba (I´ve been looking to spend a day there for some time). We will then pay a visit to the beautiful city of San Sebastian where I grew and then head back into the mountains to pass through Aránzazu. Its sanctuary displays the hard orography that impeded the Romans from fully conquering the peninsula. Finally, since I have family in Zumárraga, we may let ourselves drop by my grandmother´s house and enjoy the several delicacies she prepares! 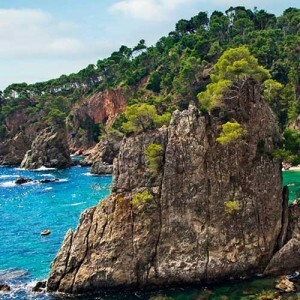 The idea is to enjoy the sensational gastronomy, landscapes and roads! I usually do a 230km motorcyle tour through Malaga. I love it and never have enough of its twisty mountain and coastal roads! The route starts on the A-357 motorway heading West until the detour to Zalea and up Yunquera where we usually stop for breakfast and a chat. 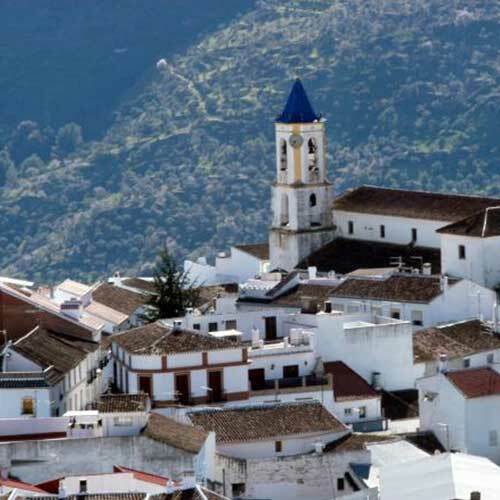 From this small town in Malaga (famous to all bikers in the area) I head towards Ronda, known world wide for the “Tajo De Ronda”. You will always find friendly and helpful people there!I then head towards the coast and down the A-397. This road is also well known for the quality of its asphalt and it´s phenomenal views. You can also stop at a great bar called * El Madroño * arriving to Marbella. Once there, I take the motorway back home and calmly enjoy cruising along coast after a very satisfying day of quality riding. We will travel by motorcycle to the Alps and back in 10 days. The group of friends is formed of 2 Yamaha FZ6 Fazer, 1 Honda VFR800Fi, 1 Suzuki GSX-R750, 1 Aprilia Tuono and 1 Yamaha R1. We will start and end in Lisbon Lisbon. 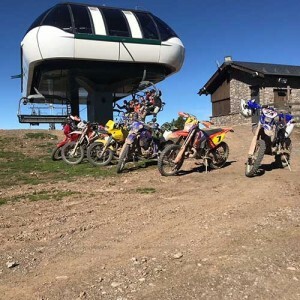 The idea will be to reach the Alps as quickly as possible and establish a base in our hotel in Celerina to unload the bikes and make daily routes through the mountains there. On the way back we want to take advantage and also visit the famous Viaduc de Millau. In total we estimate 6025 km but it´s always a bit more in the end… Hotels already booked, bikes checked and new tires! A motorcycle trip I´ve done a few times and not got bored of is the following: I leave home from Navacerrada (Madrid) and turn right towards Segovia, then head to La Rioja passing through the Sierra de Urbión, Sierra de la Demanda and Ezcaray. The area between Burgos and La Rioja has phenomenal mountain roads that take you though beautiful villages. 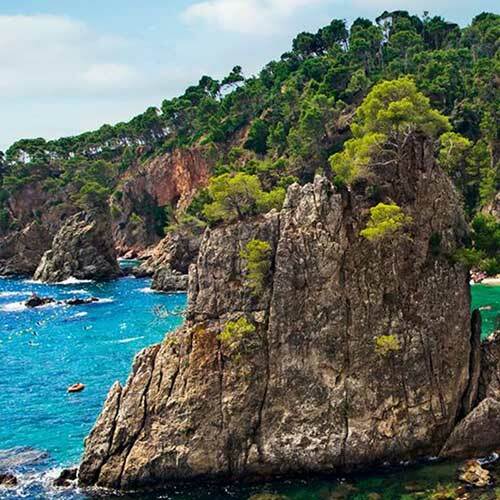 The duration of this trip depends on how much you want to deepen in the Spanish culture, its gastronomy and wine culture. It can last only a couple days or an entire week! You won´t regret going there! This summer I plan on doing a motorcycle day trip from Madrid to see the “black towns” along the Sierra de Guadalajara and bordering the province of Segovia. I´ll start in Madrid and head towards Guadalajara, then combine the M-203 and the CM-2004 to Jadraque where I should already be sensing the wet soil and local stews. Continuing to Majaelrayo, I´ll begin to see the thick walls in ocher colors. The plan is to taste a good stew in Tamajón or Cogolludo near one of its several churches. 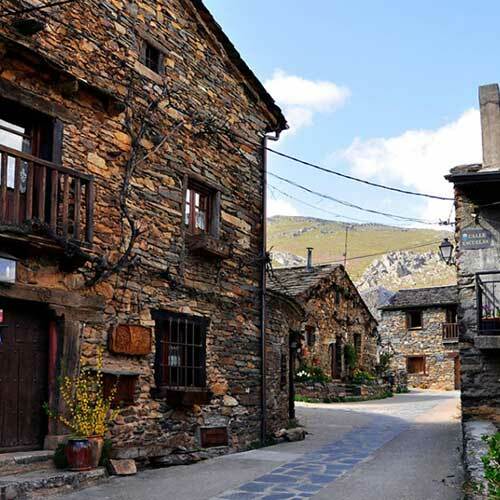 Then I´ll most likely take a short wallk in Patones to admire its beautiful streets and return to Madrid. This is a great plan to spend the day enjoying quality motorcycle riding, good gastronomy and a very a well cared environment. You can do all this and be back in Madrid by night time! I´ve been wanting to go to Scotland for a long time but have had no time (even today) to do so. I´ll be therefore doing a one way journey on the bike and then returning by plane from Edinburgh. My parents will then take the GS 1200 Adventure and do the same motorcycle route in the opposite direction. My plan is to depart from Barcelona through the Pyrenees and then to Santander (Northern Spain) to hop on a ferry towards Plymouth. Once there I´ll spend several days visiting the South West of England, especially its cliffs and old villages in the green meadows . I´ll then go straight to Scotland and cruise its coastline for about 9 days. 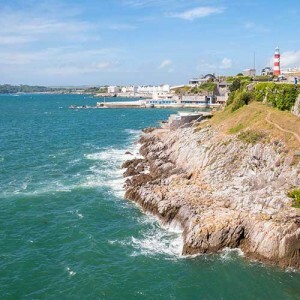 I´ll also be going to Sky Island on a ferry and hopefully sleep in a remote lighthouse!